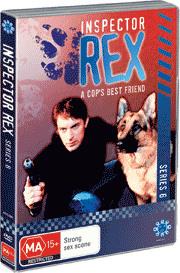 Inspector Rex (a.k.a Kommisar Rex) originated in Austria in 1994. 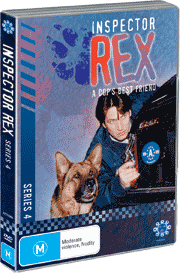 A simple enough concept– a handsome young male detective working with a team of earnest detectives and specialists, but the key to tales is the canine assistant – Inspector Rex!Series One contains 14 episodes, and a bonus 95 min feature titled “Baby Rex”, a tale that goes straight to the heart of dedicated Rex fans, and may bring a tear to even the most hard–hearted viewer! 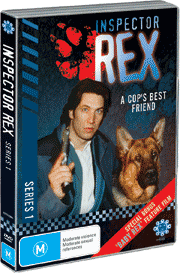 Special Features: BABY REX – a 95 minute feature film charting the origins of the much-loved doggy detective. 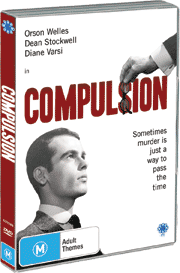 Extensive sleeve notes contained within the package.